The application for the 2020 Master Gardener Training will be available here on August 1st, 2019. Have you always wanted to learn more about gardening, have more of a science-based knowledge of gardening, meet new people and make a difference in the community? 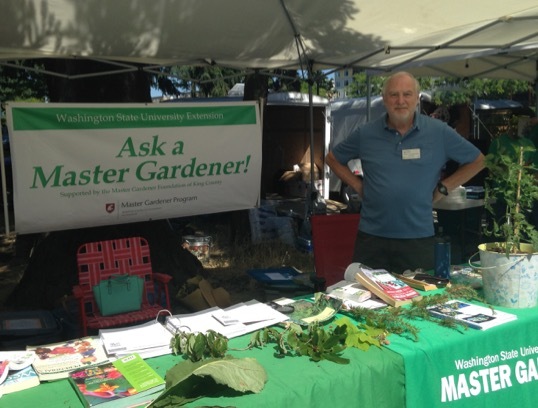 Then the WSU Master Gardener Program might be right for you. 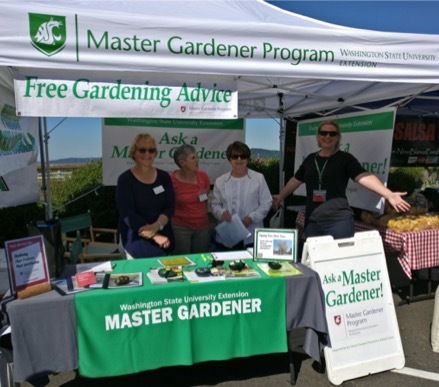 Master Gardeners are community educators trained to work in partnership with Washington State University (WSU) Extension to educate the public and enhance the quality of life in communities by promoting science-based gardening practices. 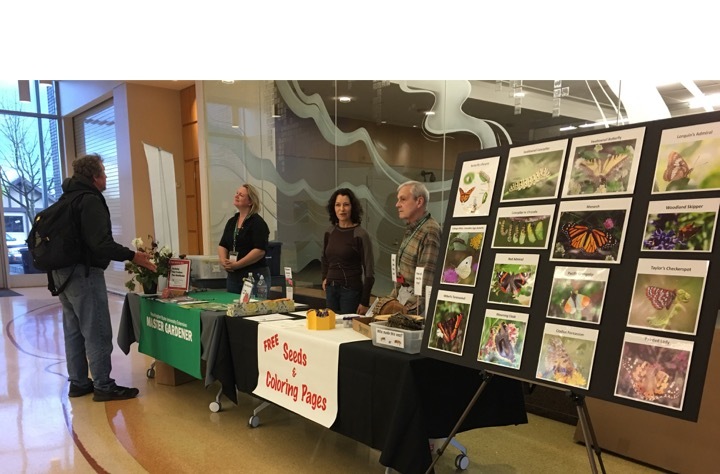 Master Gardeners provide gardening advice to the public at plant clinics, demonstration gardens and other outreach activities. The Master Gardener program began in King and Pierce counties in 1973 and has since been adopted in all 50 states and parts of Canada. Last year King County Master Gardeners donated over 40,000 hours of volunteer time at plant clinics, demonstration gardens, plant sales and other program activities. Becoming a WSU Master Gardener starts with a 12-week training course that includes both classroom and online elements. Email and internet access are required. The textbook for the online course is the WSU Master Gardener Manual, a 25-chapter, 640-page publication that includes photographs and diagrams on such topics as basic botany, soil science, fruit and vegetable gardening, pruning, composting, landscape plants and entomology. Completion of the online course includes multiple choice, open-book quizzes. A passing score on the multiple-choice quizzes is 80% or better. Time spent each week in the online portion of the class varies by student, but 3+ hours should be estimated. The in-person classroom portion of the course includes presentations from WSU and other local gardening experts on science-based gardening, pesticides, plant problem diagnosis and other topics specific to gardening in Puget Sound. You will become familiar with resources Master Gardeners refer to when advising the public. A key element of training is becoming familiar with the many reference materials Master Gardeners have to successfully advise the public. Successful applicants to the Master Gardener program have an interest in and enthusiasm for volunteer work, enjoy talking to people about gardening, and a strong desire for continuous learning. Applications are available August 1st for the following year’s class and are due by October 15. Applications will be processed in the order received, and there are usually more applicants than space allows. For 2019, the training will be offered at the Center for Urban Horticulture in Seattle, for 12 consecutive Saturdays, January 12 through March 30, 8:30 am to 3:30 pm. (In 2018 training was held at the Burien Community Center and 2020 training will likely be held south or east of Seattle.) Attendance at each of the 12 Saturdays and the successful completion of the online training is required. The primary mode of communication outside of the classroom is via email. Access to a printer is helpful but not required. For the first calendar year, successful trainees are considered “Interns” and must complete 40 hours of volunteer time, including at least 5 plant clinic shifts (each shift is 3-5 hours), at least 2 demonstration garden shifts (shift length is flexible) and at least 1 shift at one of the county plant sales (2-3 hours in April/May). After successful completion of the first year, ‘interns’ graduate to ‘veteran’ status. Veteran Master Gardeners must be recertified each year. Recertification requirements include 25 volunteer hours (in King County Master Gardener activities of their choice) and 10 hours of continuing education (in-person or online training on topics relevant to gardening in the Pacific Northwest).